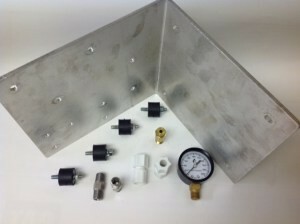 Pure Water Products now offers a high performance (CAP) air pump and installation kit for our AerMax units. High capacity air pump for use with AerMax systems. 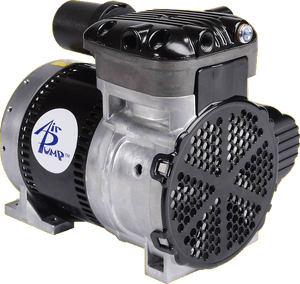 The high volume pump is a small but tough unit designed for iron and hydrogen sulfide treatment. It is for use with constant pressure well systems, high flow applications, and anywhere higher pressure or higher air turnover is needed. Suggested uses include commercial applications, hotels, restaurants, multi-tap applications, irrigation systems, bottling plants, large homes, or wells that serve more than one home. Installation Kit for High Capacity Air Pump includes 2 stainless steel check valves, heavy duty mounting shell, tube connectors, 200 psi pressure gauge, and pressure regulator. Also available are high flow aeration tank heads and over-sized aeration tanks. Please call for information and pricing.